Since 2014, I’ve been exploring the wool painting technique, also known as “Wool Watercolor”. I like to describe it as using nontraditional materials like wool fibers to mimic traditional painting and drawing techniques. Instead of using paint and a brush, I use 100% Merino sheep’s wool to create the effects of layering color, creating texture, and providing depth. 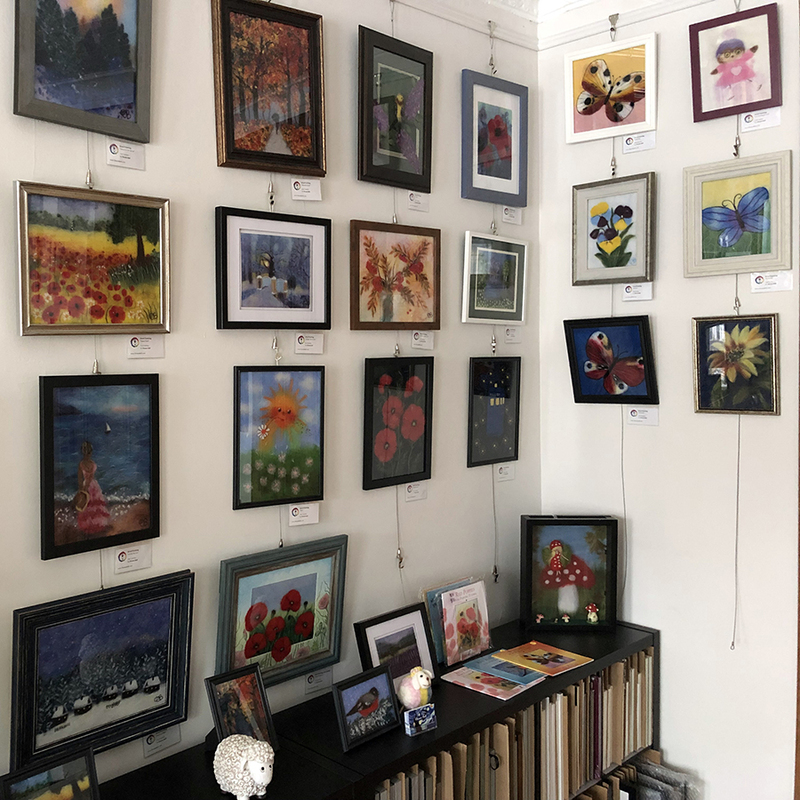 The images are crafted by layering wool fibers atop each other on a flat surface and pressing them with glass to remain firmly in place; after which, they are nicely framed. I don’t use any glue, needles, water, or paint! My goal is to elevate the craft of wool painting and push the boundaries of this fiber art to be more revered as an artistic medium. So, I create highly detailed pieces that often surprise people when they learn the medium is wool. 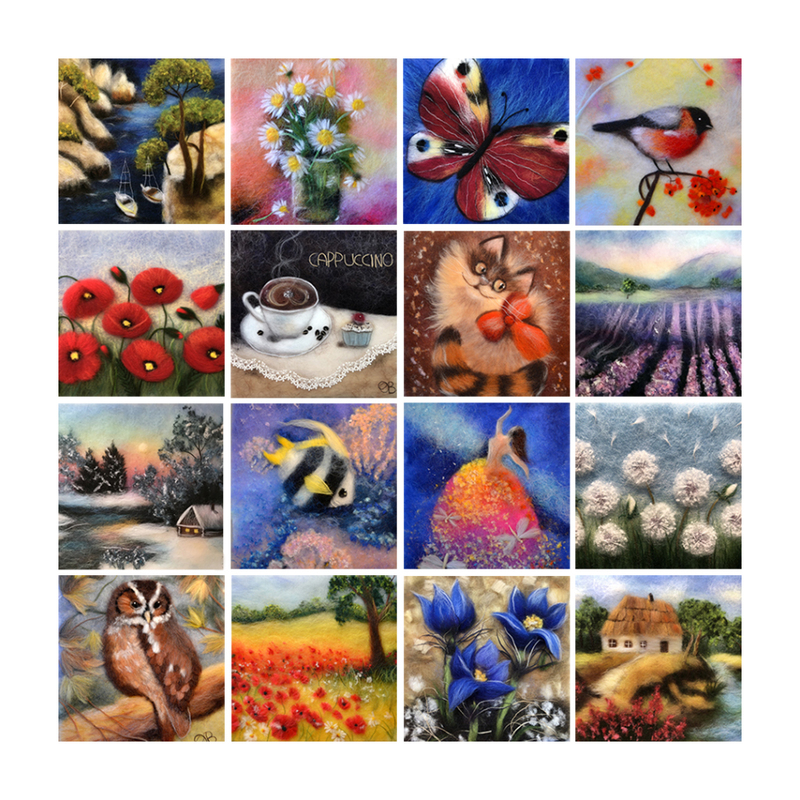 My work consists mostly of landscape, flowers, birds and animal pieces. 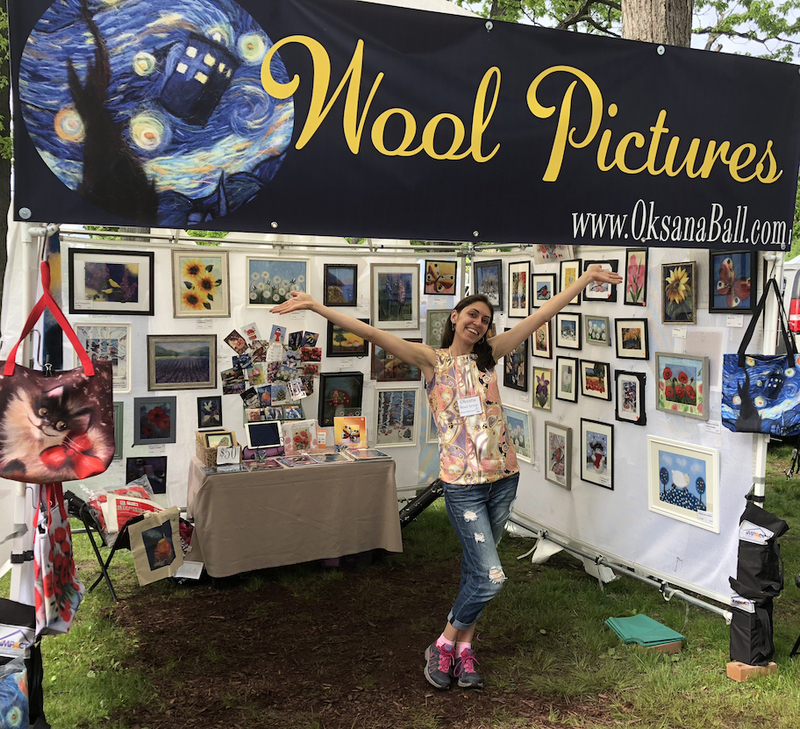 I’m Oksana Ball and I’m a self-taught fiber artist and founder of “Wool Pictures”. I loved to draw and paint when I was a kid, but I did not discover my passion as an artist until I became an adult. I was born in Russia, Vyborg – a small city on the border with Finland. When I was 17, I moved to Saint Petersburg where in 2008 I graduated from the Saint Petersburg State University of Information Technologies, Mechanics and Optics with a Master’s degree in computer science and economics and began my career as an SEO specialist. After successful working in that field for several years, I relocated to the United States. Right before I moved to America, I discovered wool as an artistic medium and was fascinated by the technique of wool painting. I took several lessons, learned basics, and started to create pictures with wool by myself. Originally, I pursued this as a hobby, but after moving to the U.S., I realized that this method of painting was almost unknown in the States. After a lot of practice my paintings became better and better. 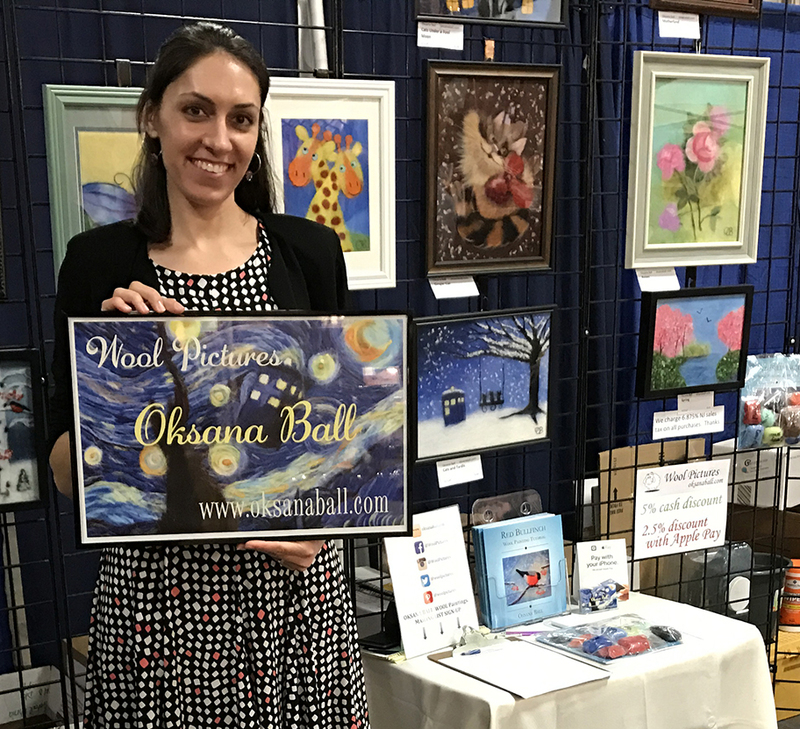 People started complement my artwork and I started selling my paintings to friends. Word began to spread and my professional art career began. 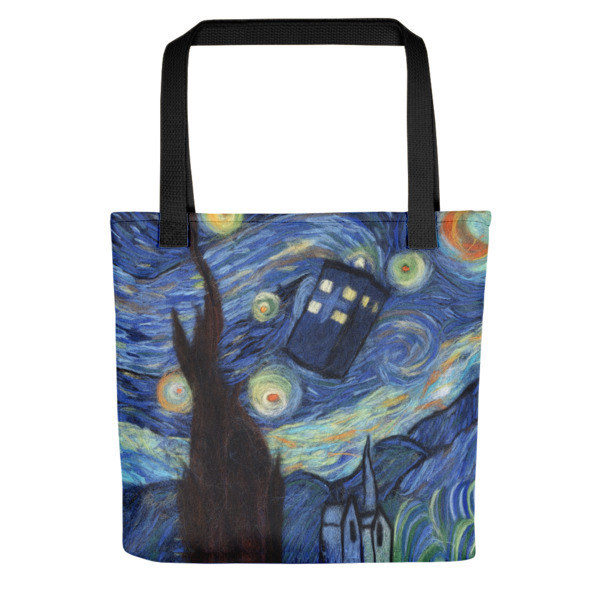 In 2016, I opened my online store and began to participate in different art shows and auctions. Buyers from around the world have purchased my unique works of art for their collections. Painting with wool is very easy for the beginner. It isn’t necessary to be a painter or to know how to draw; you don’t even need any experience working with wool. To give life to your masterpiece, you just need wool, a picture frame, and your desire to create. 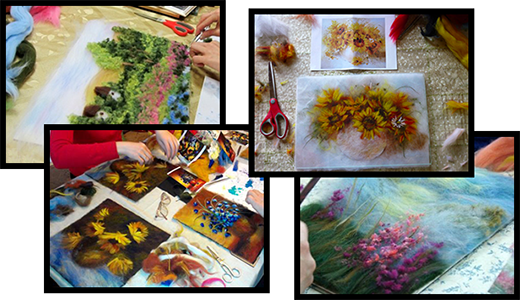 In my classes, I provide you with all of the materials and instruction required for you to create a one-of-a-kind work of art to cherish for years to come. 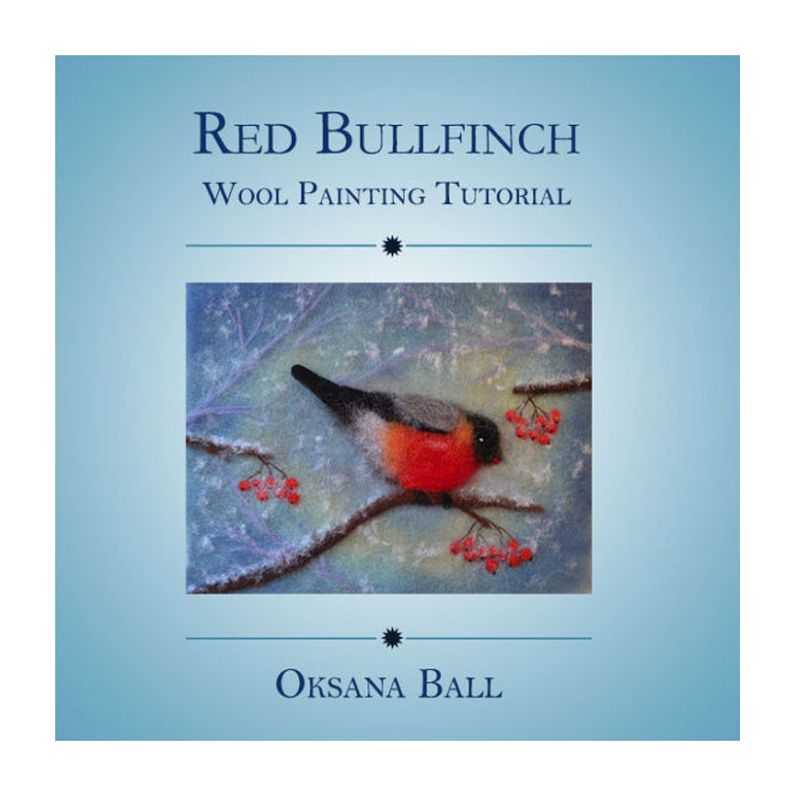 I’ll guide you, step-by-step, through the basics of wool painting — in a fun and relaxing atmosphere. Join the growing world of fiber artists creating amazing things out of wool!